Everyone can get behind holiday pajamas, right? I mean what is not to love here! As you can tell from the wrinkles and cat hair on the pajamas, I have already slept in them and worn them for longer than I should! I got these in last week and I literally threw them on out of the box because they were SO soft. The top especially - wowowow. 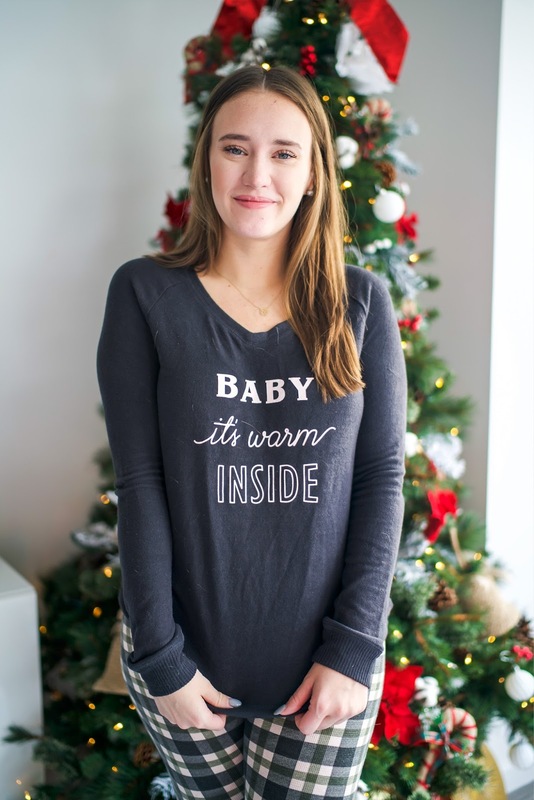 They also have a ton of different styles, sayings and patterns so you're sure to find what you need from these PJs! And my favorite part is that they are under $50 for the set so you really have no reason to skip out on this. A girl can never have too many pajamas. PS I'll be sharing my tree details soon! I'm OBSESSED with how it turned out!